This is what I’m working on today! I very rarely show my beads before they are finished…Partly because I feel the shine is what sometimes makes them so pretty! But today is your lucky day! These are the three I will seal today and here they are unfinished! What do you think? 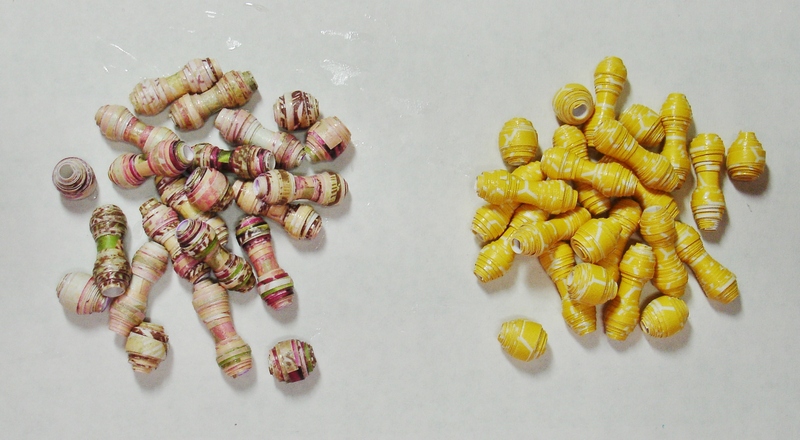 As I have shared with you in the past, the double barrel is by far my favorite paper bead shape so that’s no surprise! Be looking for them in my Etsy shop in the next day or two http://www.ThePaperBeadBoutique.etsy.com. The beads on the left have the most beautiful silver metallic running through them! 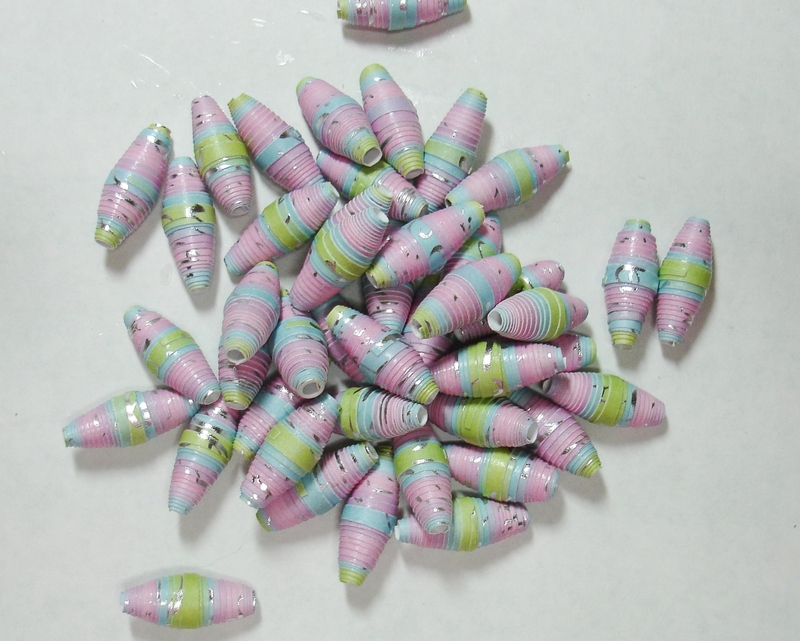 I also have some paper strips cut to do some cone beads today and I will share those with you later on! So what are you working on today? I’d love to hear about it! Please share your Sunday projects with me in the comments section! Until next time, Happy Beading!